Should I attend a driver improvement course before my reckless driving hearing? If you have been charged with reckless driving, you could be convicted of a misdemeanor offense that can result in fines, jail sentence, and a permanent criminal record. You need to do everything you can to avoid the harsh, long-term consequences you face. In some cases, taking a driving improvement course before your court hearing can be beneficial. What Is a Driving Improvement Course? For a driving improvement course to help your case, it must be one approved by the Virginia Department of Motor Vehicles (DMV). A list of approved traffic schools can be found on the DMV website. These classes are approximately eight hours long, and you must take a final exam at the end of it. Some courses are offered online. The price can vary but generally cost less than $100. If you only have no speeding tickets and this is your first reckless driving offense, taking a driving improvement course may result in the charges being dismissed or reduced to a speeding violation. 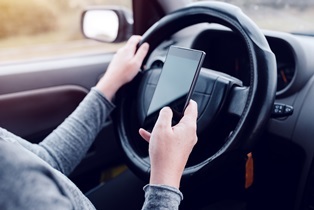 When you have a poor driving record or your reckless driving involved driving at a high speed or risked injury to another person or property, taking a course may convince the prosecutor and judge that you take the charges seriously. You can reduce your DMV points by five points, and this may help when you are sentenced. Your insurance rates may be reduced if your insurance company gives a reduction for taking this class. An experienced reckless driving attorney can explain whether taking a traffic school class before your court hearing is a good strategy and what defenses you may have that can help fight the charges you face. Call our Petersburg office, or fill out our convenient online form to schedule a free consultation. Did I plead guilty when I signed my reckless driving ticket? What happens if the police don’t attend my reckless driving hearing? Some people facing reckless driving charges may wonder if their case will be dismissed if the police officer who charged them with this offense fails to show up at the court hearing. But in Virginia, getting a dismissal for this reason is rare. Often, the officer will have a legitimate reason for not being able to come to the court hearing such as illness, death of a family member, or a public safety emergency. In these cases, the officer will usually contact the court by phone or faxing a letter explaining the reason that he cannot attend the hearing, and the judge will most likely continue your case on another date. If the officer does not appear and does not contact the court, the court clerk will attempt to contact him to schedule a new date. If the clerk cannot reach him, the judge could dismiss the case. However, this situation is not common. 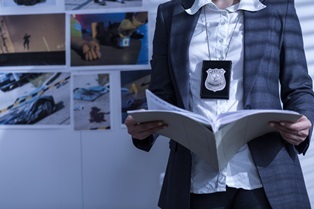 Police officers understand the importance of going to scheduled court hearings and could face disciplinary actions for not showing up and not calling the court beforehand. The radar or LIDAR equipment used to clock your speed was not properly calibrated. The police officer was not trained in the use of the radar or LIDAR or did not use it correctly. Your speedometer was not calibrated correctly, and you could not know you were exceeding the speed limit—a common reason that people are charged with reckless driving in Virginia. These are just a few of the defenses or other strategies that a skilled lawyer will be able to use to defend you against reckless driving charges. Take advantage of my free initial consultation to learn what you can expect in your reckless driving case and how I can assist you. Scheduling an appointment is easy. Just fill out my convenient online form, or call my Petersburg office today. Reckless driving is a misdemeanor offense and not a traffic violation in Virginia. In very serious cases, it can be charged as a felony. Most often when you’re charged with a misdemeanor, you’re arrested. However, a reckless driving charge usually gets you a ticket and a request from the police officer to sign it. It’s important to understand what happens if you comply with this request. You are promising to appear in court on the date and time listed on the summons. You are not admitting guilt or making any other admission. What Happens If You Refuse to Sign a Reckless Driving Ticket? If you refuse to sign the summons or the officer has other reasons to believe that you will not appear in court, he will most likely arrest you and take you to the police station to be booked. To avoid this from happening, it is best to sign the ticket whether or not you believe you are guilty. Then you should immediately retain an experienced reckless driving attorney. 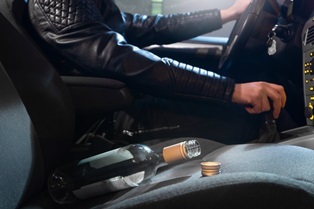 If you have been charged with reckless driving in Petersburg, attorney Charles V. Hardenbergh is here to build a strong defense to the charges you face and collect the evidence you need for your case. To learn about his track record of success and what to expect in your criminal proceedings, call our Petersburg office, or fill out our online form to schedule your free initial consultation today. If someone died as a result of my reckless driving, will I face criminal charges? In Virginia, reckless driving is considered a more serious offense than a traffic ticket. It is usually charged as a misdemeanor offense with a possible jail sentence, fines, driver’s license suspension, and permanent criminal record. 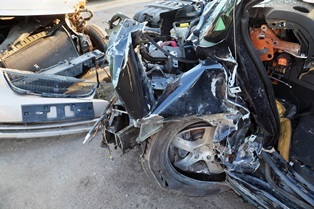 However, if a person is killed in your reckless driving accident, you could face even more serious charges. Suspended or revoked license. You could be charged with a felony if you were driving on a suspended or revoked driver’s license, and your reckless driving was the sole cause of the victim’s death. Racing. If you were charged with reckless driving for racing and you seriously injured someone not involved in the race or someone was killed because of the race, you may be charged with reckless driving as a felony. When someone is killed in a reckless driving accident or injured due to racing, this is a Class 6 felony with possible penalties of a jail sentence of up to 12 months, a prison sentence of up to five years, and a fine not to exceed $2,500. If the victim died due to a drag race, this is a separate felony offense that could result in a prison sentence of one to twenty years, with a mandatory one-year sentence. Vehicular manslaughter. If you are charged with vehicular manslaughter, you could be sentenced to up to 10 years in prison and up to $2,500 in fines. Aggravated vehicular manslaughter. If your actions were “so gross, wanton, and culpable as to show a reckless disregard for human life,” the charges could be elevated to aggravated vehicular manslaughter. This offense carries penalties of up to 20 years in prison and a maximum fine of $2,500. Are you facing reckless driving or other more serious charges in Virginia? Even if you believe you are guilty, you may have strong defenses to the charges that can result in their dismissal or reduction to a less serious offense. However, you need the assistance of an experienced reckless driving attorney to achieve a favorable outcome. To learn about our extensive experience helping clients fight reckless driving charges and how we can assist you, call our Petersburg office today to schedule your free initial consultation. Can I have my reckless driving record expunged? 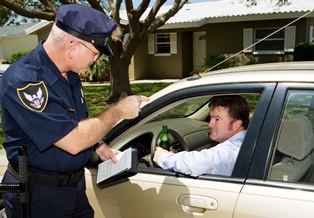 Is a DUI a misdemeanor or felony in Virginia? Can I be arrested for reckless driving if the police didn’t see me driving? You can be charged with reckless driving in Virginia even if the police did not see you driving. When the police are called to the scene of a car accident, they will often try to determine the cause of the crash, and in many cases, will charge the alleged at-fault driver with reckless driving. This is not the same as getting a traffic ticket. Reckless driving is a Class 1 misdemeanor offense in Virginia, and a conviction can result in a permanent criminal record. Endangerment. It is reckless driving to drive in a way that endangers a person or property. If there were serious injuries to victims of the accident or significant property damage, the police may conclude that you must have been driving recklessly. Lack of control. It is also reckless driving to drive with faulty brakes or when a person cannot maintain control of his vehicle. If your brakes failed or your vehicle skidded on wet pavement causing an accident, you may be charged with reckless driving. If you are convicted of reckless driving based on either of these grounds, you face the same penalties as if you were charged under other reckless driving laws. You could face up to jail for up to one year, a fine not to exceed $2,500, a driver’s license suspension for up to six months, and six demerit points on your driving record. Just because you were charged with reckless driving following an accident does not mean that you were in fact driving recklessly. You may have strong defenses to the charges you face—especially given that the officer did not witness the accident. However, you will need the assistance of an experienced reckless driving attorney to prove your case. Attorney Charles Hardenbergh is dedicated to fighting for the rights of individuals charged with reckless driving. To learn about his experience and how he will aggressively fight the charges you may face, call our Petersburg office today to schedule your free consultation. Can I be charged with reckless driving in Virginia if I live in another state? If you are a resident from out-of-state traveling in Virginia, it’s important to understand the state’s reckless driving laws and possible charges. There are at least 15 separate offenses for reckless driving in the state of Virginia. While some of these involve speeding over 80 miles per hour or 20 miles over the posted speed limit, you could also face these charges for more minor offenses. Some of these include failing to yield the right of way or failing to use your turn signal. Even if you’re an out-of-state driver, you can be charged with reckless driving in Virginia. It’s a misdemeanor. A reckless driving charge is not a traffic ticket for speeding or another traffic violation. 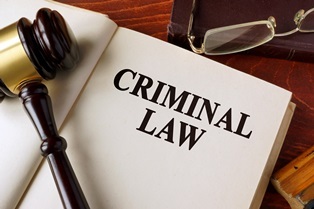 It is a misdemeanor offense, and you could have a permanent criminal record if convicted. This could affect your ability to obtain a job or a loan. It involves harsh penalties. You could face a sentence of up to one year in jail and a $2,500 fine if convicted. In addition, your driver’s license could be suspended for up to six months, and you may have six points placed on your driving record—which could increase your auto insurance costs significantly. It involves a court appearance. Because reckless driving is not a traffic ticket, you cannot just pay a fine like with some traffic violations. In Virginia, you must attend a court hearing if you are charged with reckless driving—even when you live in another state. However, if you retain an experienced reckless driving attorney in Virginia, he may be able to attend the hearing on your behalf, so you don’t need to take time off work and pay travel expenses to come back to the state. It’s part of the interstate compact. 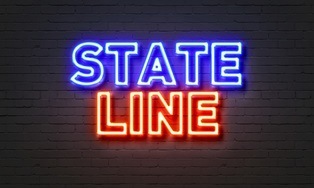 Most states have entered into the Interstate Driver License Compact, agreeing to share information with other states about an individual’s driver’s license suspensions and traffic violations. These states also agree to treat the ticket conviction and penalties as if they occurred in their own state and apply the same penalties. If you are convicted of reckless driving, Virginia would send its information on your conviction to your state, where you may face the same penalties. If you are an out-of-state resident who has been charged with reckless driving in Virginia, you need the assistance of an experienced reckless driving attorney who understands Virginia law. Van can build a strong defense and help get the charges dismissed or reduced to a less serious offense. Call our office to schedule your free initial consultation. How can a criminal defense lawyer help me fight a reckless driving charge? If you are charged with reckless driving, you may be tempted to plead guilty, or you may try to defend yourself at your court hearing to save money on attorney fees. However, reckless driving is a serious offense in Virginia, and not hiring an attorney is a big mistake that could have far-reaching, life-long consequences. Avoid harsh penalties. Reckless driving is a misdemeanor offense in Virginia and not a traffic ticket. If you are convicted, you could be sentenced to up to one year in jail, assessed a fine of $2,500, have your driver’s license suspended for six months, and have six points placed on your driving record. An attorney can help you avoid these harsh penalties. Avoid permanent criminal record. Because reckless driving is a misdemeanor, you would have a permanent criminal record if convicted. This could affect your ability to obtain employment, housing, and a security clearance. Provide defenses. Even if you believe you are guilty of reckless driving, you may have strong defenses that can result in the charges being dismissed or reduced to a less serious offense with less severe penalties. An experienced reckless driving attorney will be able to identify the defenses you can raise given the circumstances surrounding your arrest and help you obtain the evidence you need to prove them. Represent you at court. You will be at a serious disadvantage if you try to enter into a plea agreement with the prosecutor on your own and may be treated differently by the judge if you do not have an attorney represent you. In some cases, your attorney may be able to attend the court hearing on your behalf, so you do not need to take time off work to go to the hearing. When retaining an attorney, it is important to hire one who is experienced in both entering into plea agreements and trying reckless driving cases. An attorney who handles other types of cases such as car accidents, probate matters, or divorces will not have the skill you need to help you effectively fight the charges you face. If you’ve been charged with reckless driving in Virginia, we are here to help you aggressively fight the charges you face. To learn what you can expect in your criminal proceedings, fill out our convenient online form to schedule your free consultation. Can I be charged with reckless driving if my brakes failed? In the Commonwealth of Virginia, there are approximately 16 different offenses that are considered reckless driving. One of these is driving with faulty brakes. If you’re charged with reckless driving due to problems with your brakes, you need the help of an experienced reckless driving attorney. He may be able to raise a strong defense that results in the charges being dismissed or reduced to a less serious offense. No knowledge of defect. Problems with brakes are often apparent to the driver, and a warning sign such as a squeaky or grinding noise usually gives notice of an issue. However, if you genuinely did not realize your brakes were inadequate or improperly adjusted, this may be a defense. This defense could be a strong one if you recently had maintenance done on your vehicle and no problems with the brakes were discovered. 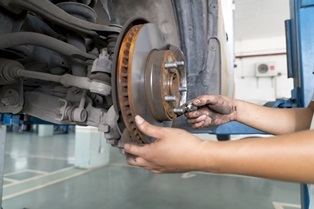 Similarly, if your vehicle recently passed a state inspection, this could substantiate your defense that you had no knowledge of your inadequate brakes. Parts defects. Although not a common defense, you may be able to raise the history of defective brakes in your vehicle’s make and model as an argument. In order for this to work, you would need to show that you had no prior knowledge of the defective brake parts. Private property. You must have been driving on a highway, which is a public road in Virginia. If you were charged while driving in a parking lot or on a private road, this could be raised as a defense that may result in the charges being dismissed. Depending on the facts of your case, there may be additional defenses to the reckless charges you face. To learn more about how we can help you raise a strong defense, call our office to schedule your appointment today. Do I need to report a reckless driving conviction on a job application? 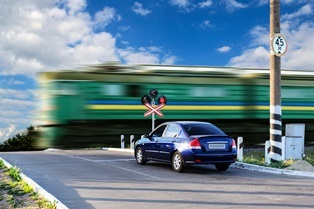 Is it reckless driving to pass someone at a railroad crossing in Virginia? When people think of reckless driving, many consider this a traffic offense for excessive speeding. However, in Virginia, reckless driving includes 16 misdemeanor offenses, and passing another vehicle at a railroad crossing is one of them. If you have been charged with reckless driving for this, you should take the charges seriously and retain an experienced reckless driving attorney to help you build a strong defense. It is also considered reckless driving if you pass another vehicle while a pedestrian is passing or about to pass in front of either of the vehicles unless a police officer directs a driver to do so or a traffic light permits this. You could also face other long-term consequences if you are convicted of this offense. You will have six demerit points placed on your driving record that will remain there for 11 years. This can cause your auto insurance rates to increase. In addition, you will have a permanent criminal record that can affect your ability to obtain a job, security clearance, and a loan. While passing another vehicle at a railroad crossing may seem like a minor offense, this is not the case in Virginia. Let Charles Van Hardenbergh help you fight to get the charges dismissed or reduced to a less serious offense. Call our office to schedule your appointment to learn more about your legal options.